Peanut butter is one of those thing that I think that you can couple with just about anything. I have always loved peanut butter… peanut butter & jelly, peanut butter on celery, peanut butter with bananas & one of my all time favorites peanut butter & apples. If you have never tried it, it may sound strange, but it is a wonderful combination. My daughter in one of her unusual requests, asked for an apple pie & watermelon this morning for breakfast. It got a chuckle out of me & then got me thinking, an apple pie did sound good. 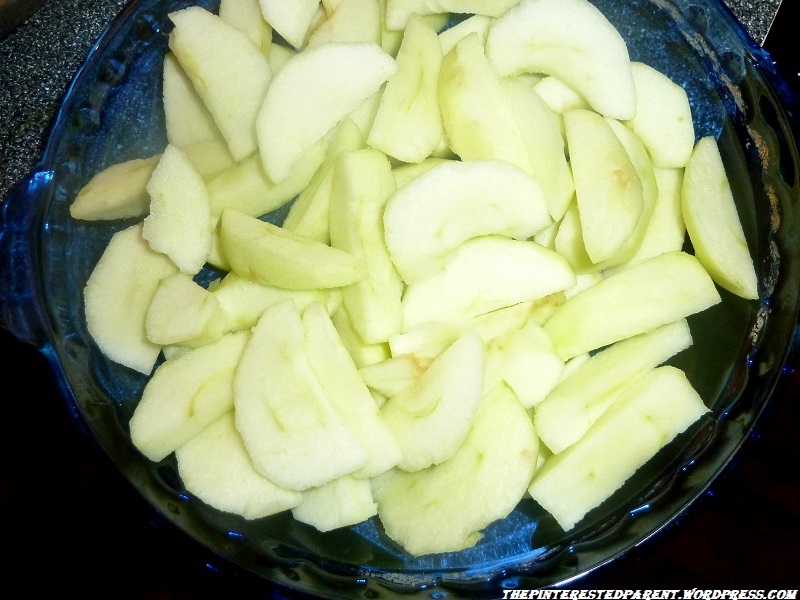 I decided on an apple crisp instead & while in the midst of making it, started thinking about my favorite snack. This resulted in a fruity peanut buttery treat. Preheat oven to 350 degrees. 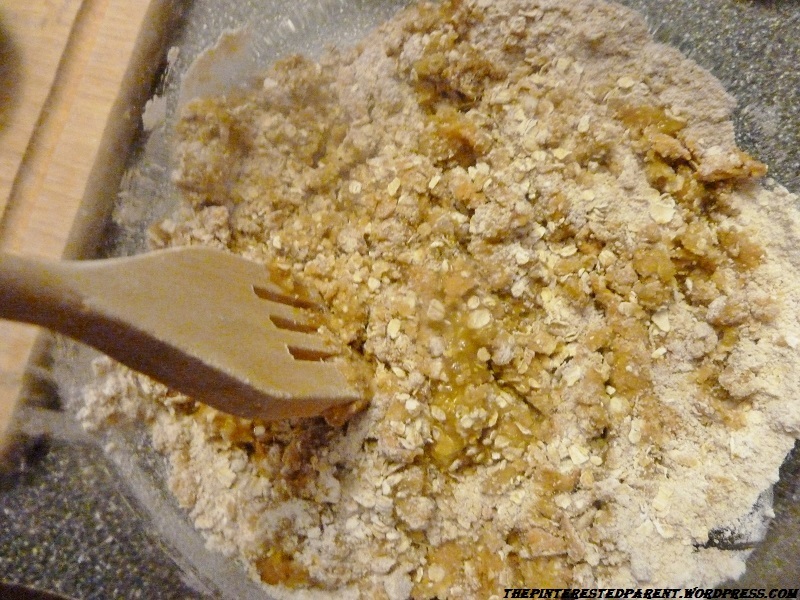 In a medium bowl mix all dry ingredients. Add the peanut butter & melted butter. Mix well using a fork to smash the ingredients together. 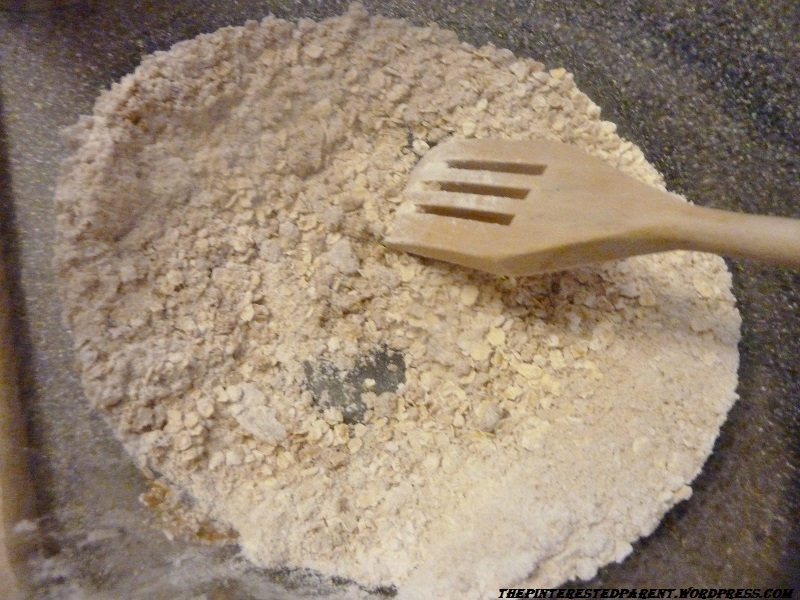 Do this until the mixture is crumbly & well blended. 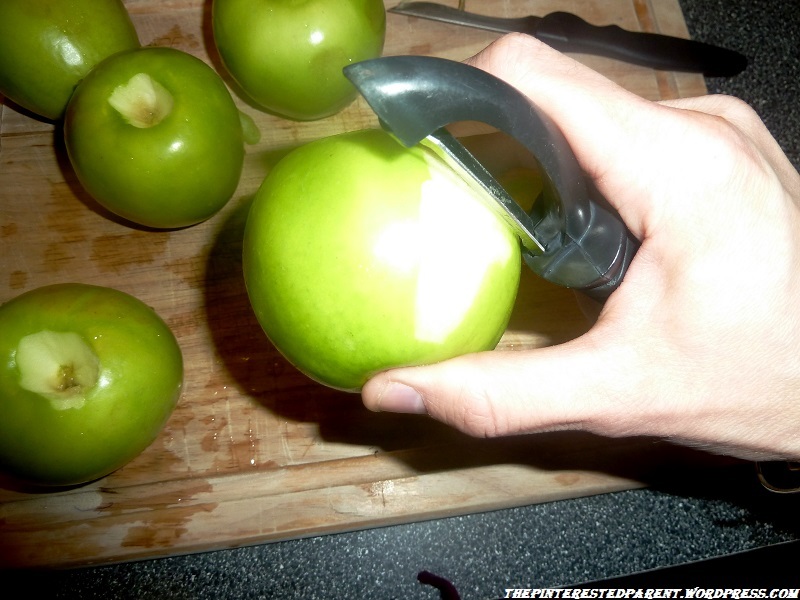 Peel, core & slice the apples & place slices in a 9 1/2 inch round baking dish. 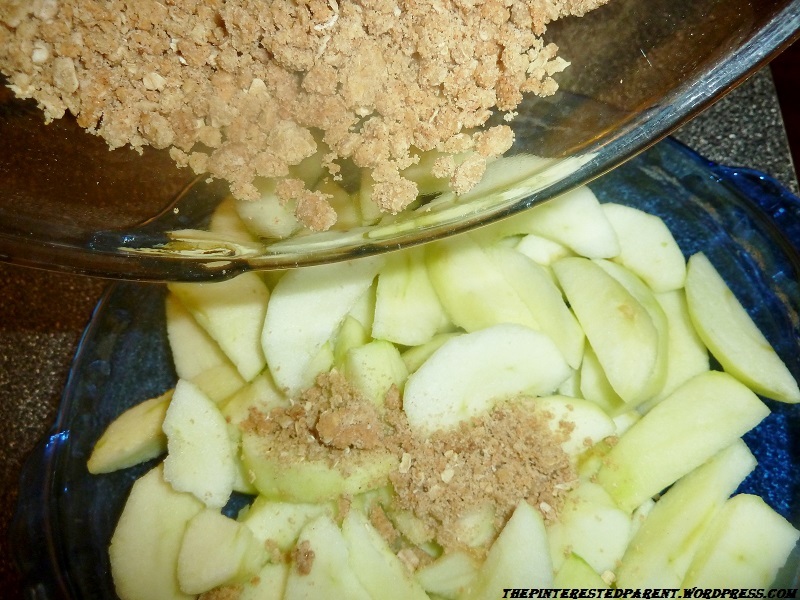 Add the peanut butter crumble over the apples evenly. Bake for 45 minutes. Let cool slightly & serve warm topped with ice cream or cream. Enjoy! 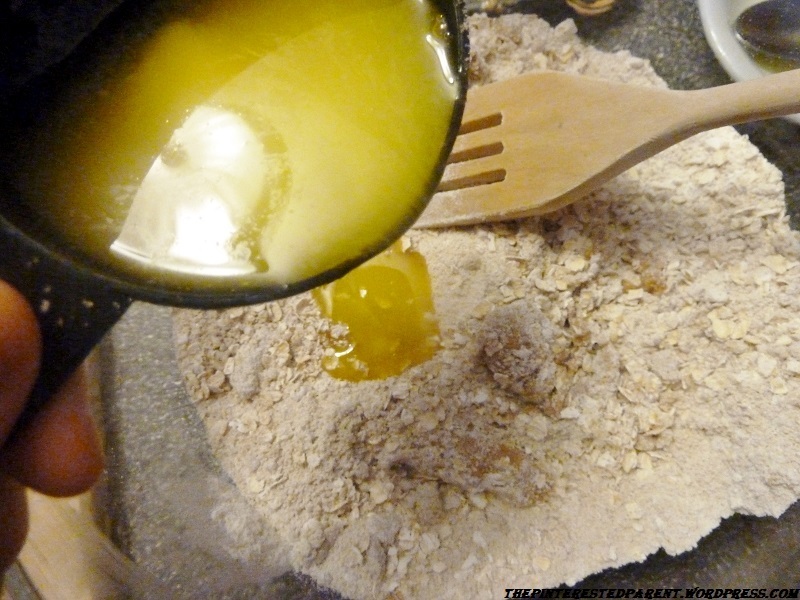 My girls love peanut butter, so may need to try this for them soon. Did Mai have it? Wondering if my picky eater who does love peanut butter would eat this. Wow! That looks delicious. 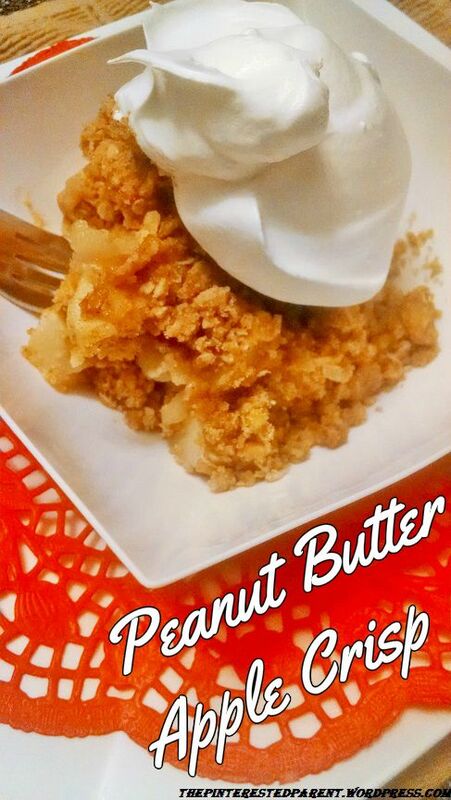 I’ve never thought to add peanut butter to apple crisp, but I bet it’s super good. 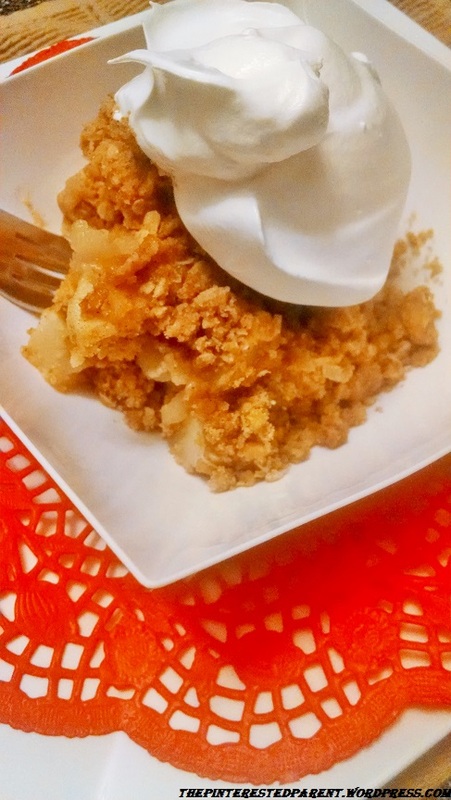 Thanks for sharing this great post: pics, recipe, and all! Thanks Laurie, it was delicious. I’m not a huge fan of Peanut Butter (weird, I know) but both my husband and daughter would LOVE this. I like it too much. It is one of my weaknesses. 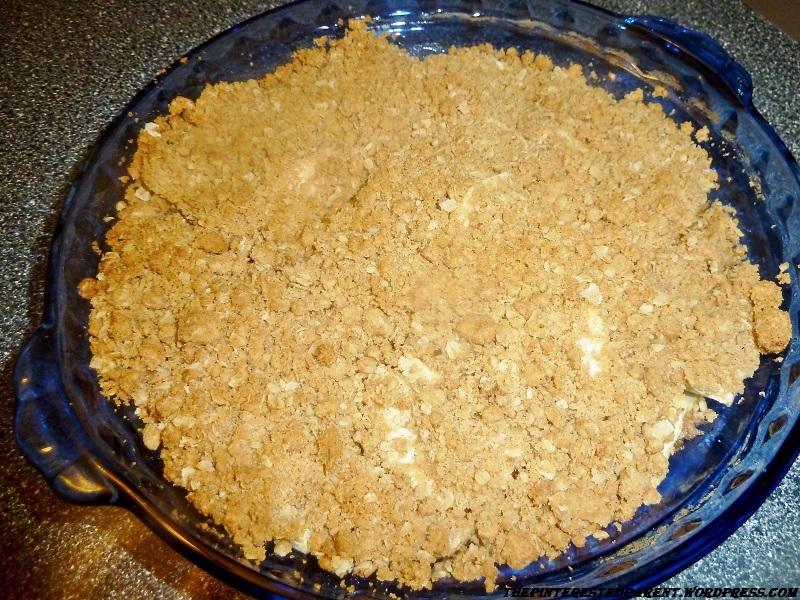 Yum, I LOVE Apple Crisp. Never thought to add peanut butter. Thanks for the recipe. We love peanut butter anything!! This looks totally delicious – a must try! Thanks for sharing with your readers. one word — yummy! Love apples and peanut butter together! You had me at peanut butter. Yum! What a great idea. I am pinning this! Mmmm…this looks delicious! And I didn’t realize how simple it is to make. I will definitely be pinning for later. Ooohh DELISH! Pinned this because it looks so easy to make and I know it will taste good. Thanks for linking it up to Turn It Up Tuesday! That’s awesome Cathy. Thank you so much.